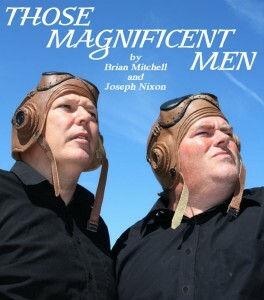 Those Magnificent Men is the thrilling true story of the first ever non-stop transatlantic flight as told by acclaimed writing duo Mitchell & Nixon returns in this side-splitting new production. The Foundry Group is proud to join forces with award-winning BBC4 sketch group The Ornate Johnsons for this brand new staging of the hit play about British pioneering aviators Capt. John Alcock and Lt. Arthur Whitten Brown and their daredevil dash across the Atlantic in the tiny open cockpit of a converted Vickers biplane. In this glorified kite they flew from Newfoundland through dense fog, sleet, snow and hail – sometimes upside down – to Ireland and worldwide celebrity. A top-hole cast, including ‘Count Arthur Strong’s Radio Show’ and ‘This Is Jinsy’ regular David Nixon, guarantees the show takes flight. So strap yourself in and cry “Chocks away!” for a night of thrills, spills and uproarious comedy.Doors open at 7pm. Drinks available at the bar. Brian and Joseph met at primary school in Derbyshire, so they’re local boys. In 1992 they founded the award-winning sketch group The Ornate Johnsons. They share a string of writing credits for the stage including the Edinburgh hit plays ‘Big Daddy Vs. 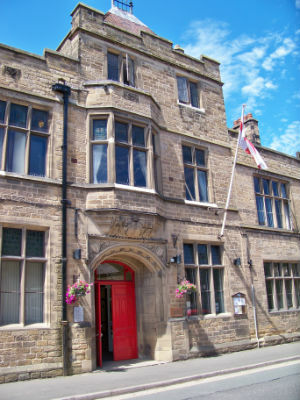 Giant Haystacks’ and ‘Those Magnificent Men’ and the award-winning comedy musical ‘The Opinion Makers’. They also co-wrote ‘The Cheeky Guides to Student Life’ and ‘To Love’, were head sketch writers on Radio 4’s ‘Jo Caulfield Won’t Shut Up’ and BBC1′s ‘Live and Kicking’, and as well as the TV comedy shows ‘Slightly Filthy’ (LWT) and ‘The Ornate Johnsons’ Edwardian Spectacular’ (BBC 4). With the Carnegie-Medal-winning author Philip Reeve, Brian Mitchell wrote the acclaimed musical comedy ‘The Ministry of Biscuits’. A classically-trained composer, his songs for the Perrier-Nominated show, ‘Joanna Neary Is Not Feeling Herself’, have been broadcast on Radios 1, 2 and 4 and have played Bloomsbury Theatre. ‘The October Revolutions’, his first solo play, recently toured the South-East, winning rave reviews. Joseph Nixon co-wrote the hit Edinburgh show ‘The Cruel Hand Of Fate’ with comedian Glen Richardson, and wrote sketches for ‘Joanna Neary’s Magic Hole’ (Assembly Rooms). He regularly contributes material to Brighton’s acclaimed Radio City group. Now booking. Tickets £9. ONline or from the Box Office 01629 810152.